Different knitting stitches will give a lots of patterns. Knitting stitches are really just a series of loops joined together using knitting needles if you take it back to the basics. 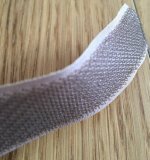 Picking up a dropped stitch is fairly straightforward once you understand how they are linked. The art of the craft is making these loops appear different to produce patterns, learning the abbreviations and reading pattern charts. 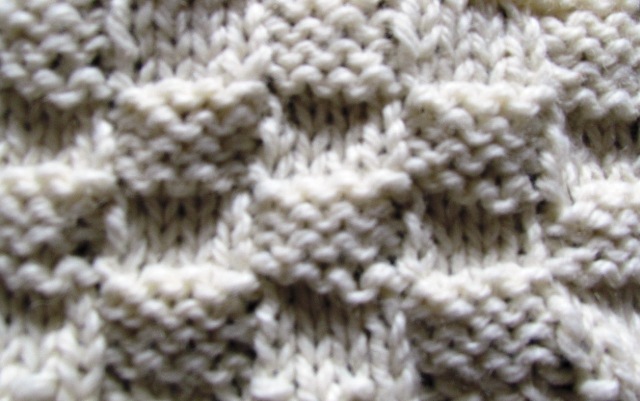 The two main knitting stitches that form the patterns are the "forward" knit stitch and the "backwards" purl stitch. 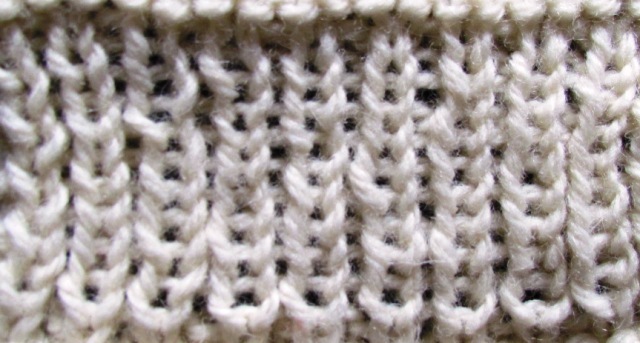 If a square was knitted with all knit or all purl stitches then the result would be the same as shown in the picture above. One is the reverse of the other. When learning how to cast on knitting this is the one usually mastered first after "casting on" all the required stitches. Finding out how to finish knitting will come when the item has be completed. When making garments the stitches need to be increased and decreased in certain places. 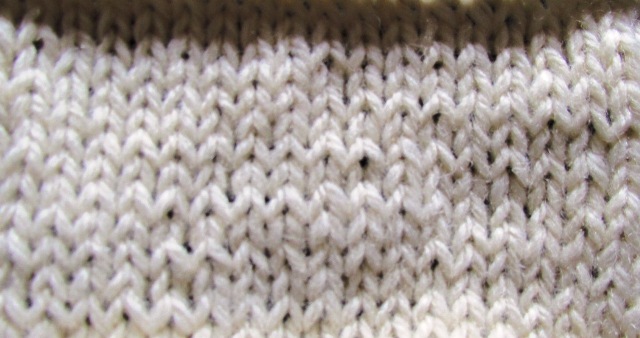 When all knit stitches are done on one row and then all purl stitches are done on the next row this is called "Stocking Stitch" and the look is entirely different as shown in the second picture. The knit side looks like smooth, chevron or "V" shaped. 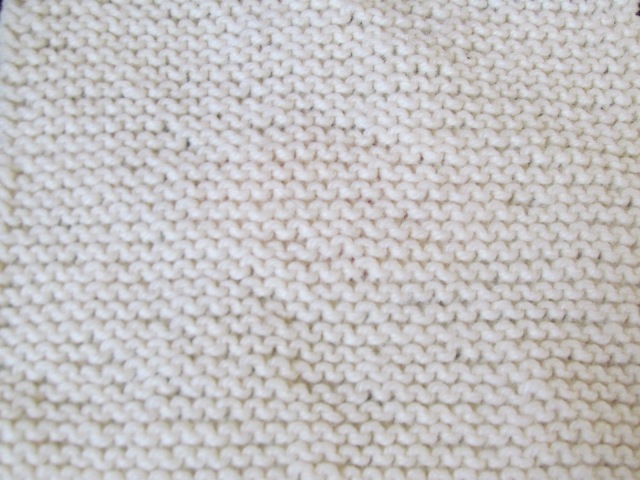 The purl side will look like little bumps as in the first picture. If your project is left unfinished you will be able to see what stitch you have to do just by looking at the knitting already done. This has every row a knit row and can add to the decoration of the item a great first stitch to master. This has a bit of elasticity to the knit so is good for around the wrist, the bottom edge or neck edges of jumpers and cardigans. 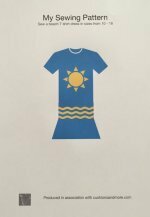 A whole garment can be made from this if a very snug fit is required. This is achieved by doing knit one and then purl one along the row remembering that the strand of wool is at the back for the knit and at the front for the purl. The strand needs to be moved after each stitch.There are varieties on this as well as a wider rib may be needed so two knit then two purl would achieve this. A rib version that gives a firmer feel is a twisted rib, where you knit or purl into the back instead of the front giving a slightly twisted look. Begin the first row with four knit then bring the wool forward and do four purl continue to the end of the row. Continue like this for four rows and then on the fifth row where there are four knit change to purl and the same for the purl change that to knit. Again do four rows and then return to starting with four knit, four purl etc.. until the work is the size required. These will give variety as complete rows can be done intermingled with half rows. More complicated knitting can be done using a third needle this is called cable. Some knitting projects used a round needle so the knitting is done like a tube. Patterns can be made by casting off and on in certain places or by slipping stitches and then passing then over the next stitch. 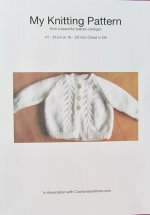 It is really amazing at all the different patterns that can be made by just altering the number or stitches or rows of knit and purl. Test them out for yourself and never be afraid to pull it all back down if you are not happy with it.